Thank you for helping me support Fred's Team! 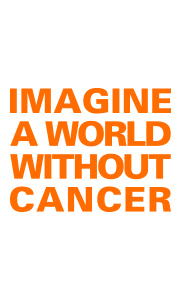 On April 28th I will be running the London Marathon with Fred's Team to support rare cancer research at Memorial Sloan Kettering Cancer Center (MSK). I am committed to raising as much money as I can to make a difference in the lives of people with cancer. I am dedicating my run to my dear friend and former colleague, Jon Paul Borella, who after heroically battling cancer for more than two decades ultimately succumbed to it in late 2017 at the age of 46. JP was a truly amazing person on so many levels, and his astonishing composure and endurance throughout his battle continue to inspire me every day. Indeed, whenever a training run begins to feel difficult, I think about how my small, fleeting, self-inflicted struggle pales in comparison to his fight, and I'm inspired to run a little farther and a little faster. JP was treated for many years at MSK and I'm hoping that every dollar raised is another stride towards progress in helping others facing the challenges that he faced. Your gift will give doctors and researchers at MSK the funding they need to achieve groundbreaking discoveries. Together, we can make new and better treatment options possible.